When protecting a body (human or otherwise) from the elements, wool fabric is the ultimate choice. Woolens in the cold is obvious. But Touregs and Bedouins wore wool clothing to protect themselves from the deadly desert sun. It even retains its insulating properties when wet–wool sweaters were worn by surfers to keep warm before the invention of the neoprene wetsuit. 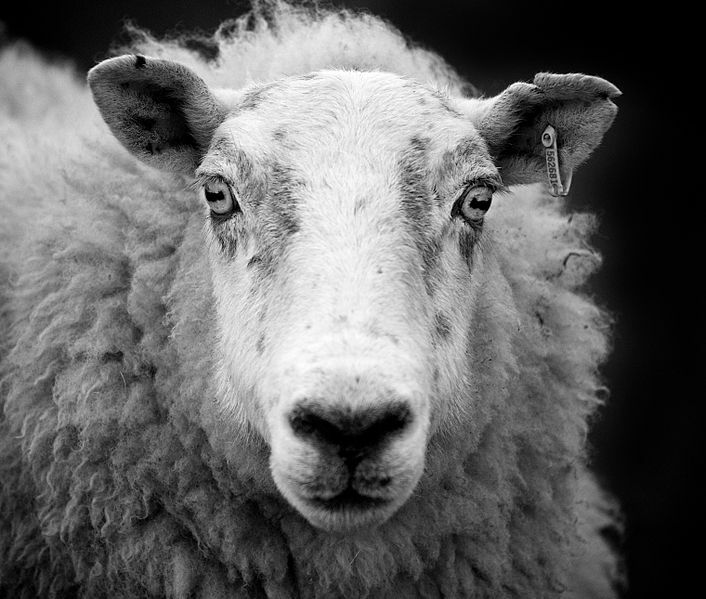 Wool is naturally anti-microbial so it wards off stink, and sheds dust and dirt. It’s also flame retardant. So why isn’t it the only fabric? It’s care is perhaps a little misunderstood. “The peculiar feature of wool is its power of becoming closely entangled into a dense mat,” writes Edward Harrison in a collection of essays called Scottish Woolens. Sheep and a few other animals of the Caprinae family grow a unique type of fiber that we know as wool. It’s scaly surface and wavy profile make it capable of clinging together like velcro, trapping countless little pockets of air, which make it an inevitable fabric and an excellent insulator. This scaly structure makes woolen fabrics possible, but also presents one of its most legendary problems: shrinkage. The classic wisdom is to wash wool in cold water. However, this is a mythical heirloom that ought to be corrected. It is not the temperature of the wash water, but the action of the wash. Agitation makes the individual fibers mat more densely together making the garment smaller. Soak garment in a warm water and laundry detergent solution for 30 minutes. A ratio of 2 tablespoons detergent to 5 gallons of water is sufficient. Remove garment from soaking solution and gently press out excess liquid. Return garment to fresh water and soak another half-hour. Remove and press out rinse liquid. Lay garment on a thick towel. Cover with another towel, and firmly roll up from the bottom to create something that resembles a jelly-roll. Resist the urge to twist or wring the garment. Unroll the towels and place garment on a dry towel and allow to air dry completely. An alternative to washing is brushing. Wool, like your pet, benefits from a good brushing. It’s the original dry-cleaning method. For further reading, here is an excellent post from The Butler’s Closet on how to brush everything from a wool suit to a velvet riding cap. Thanks so much for referring to my site, The Butler’s Closet. I really appreciate it. Your site is fascinating and I am happy to know about it and am looking forward to reading the articles! My pleasure, Barbara! Thanks for the excellent info.